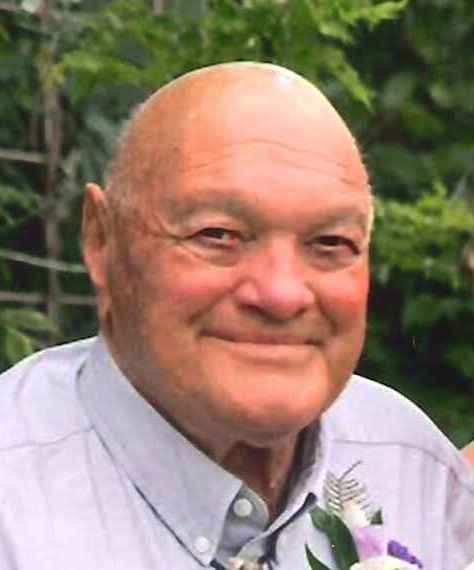 Albert J. Gilson age 82, of Plymouth passed away Friday evening July 6, 2018 surrounded by his family. He was born July 26, 1935 in Plymouth to John & Ovella (Lisowe) Gilson. He attended Plymouth Schools. On September 15, 1956 he was united in marriage to Shirley Williams at the First Congregational United Church of Christ in Plymouth. Albert and Shirley were married for 45 years until her death in 2002. Albert worked for many years at Bemis Manufacturing and retired from Borden/Dairyland Farmers after 34 years of service. He was also a bingo fanatic. Survivors include three children; John (Nancy) Gilson, Linda (Terry) Wolfert both of Sheboygan Falls and Jerry (Dorothy Browne) Gilson of Elkhart Lake. Six grandchildren; Katrina (Brian) Schmitt, Adam (Arielle) Gilson, Matthew Wolfert, Melanie (Dan) Duley, Christopher Gilson & Michael Gilson. Three great grandchildren; JadaMae & Carsen Gilson, and Kaylee Schmitt. A sister and brother; Mary Lou (Larry) Kornetzke & Ed (Diane) Gilson. Three sisters in law; Wanda Williams, Jackie Williams & LaVerne Firsque. A very dear & close friend, Adeline Doherty and nieces & nephews. He was preceded in death by his wife Shirley, an infant son, a sister in law and brothers in law. Funeral services will be held Tuesday evening July 10, 2018 at 7:00 p.m. at Wittkopp Funeral and Cremation Services, 123 South St., Plymouth, with Rev. Kristal Klemme officiating. Burial will be in the Plymouth Woodlawn Cemetery. Friends may call at Wittkopp Funeral & Cremation Services from 4:00 p.m. until the time of service. A memorial fund in Albert's name will be established. Albert’s family would like to thank Aurora at Home Hospice, especially Jenna and Judy for their loving care and support.